Let’s design and make the perfect stand up 1 side transparent 1 side colored, zip lock packaging printable bags for cloth, tell us about your project and let make this a reality. Shiny SunShine Custom 1 side transparent zip lock cloth packaging printable bags. Let’s make the perfect custom zip lock 1 side transparent 1 side colored, printable cloth bags for your business projects, all of this customized per your request. If you already have your brand and logo made we can use them as is or we can maybe help you with designing new printed cloth bags and all other product packaging you need. As well for printing processes we use all CMYK and Pantone colors. We can do many types of shape and models customize per your request. We can use all the types of materials for high quality food grade material such as OPP PET PA CPP PE and more. 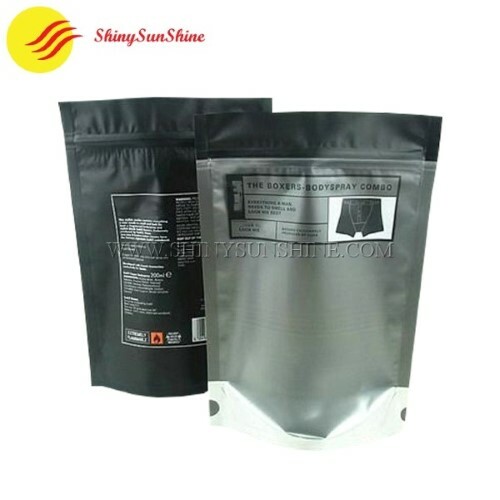 Custom stand up zip lock printable cloth packaging bags from shiny sunshine. Laminated Material MOPP / PETAL / PE. Pet food , salt ,flour, candy, rice, confectioneries, etc. CMYK or Pantone colors at your custom request. For more details please go to Brand logo & printing or Contact us. The thickness will vary depending on the type of product you have, the weight and the size of packaging you need, when designing your custom zip lock 1 side transparent 1 side colored, printable cloth bags we will find the best thickness for your needs. 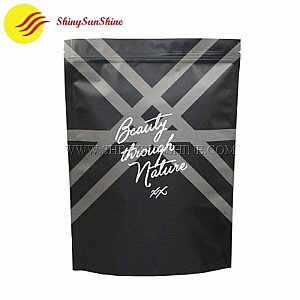 Custom zip lock Laminated printable material cloth bags packaging. OEM or ODM, customize design which you can offer, if needed we can help you design the perfect bag for your business. Please go see FAQ or Contact us. To be determined according to your needs. Please go to FAQ or Contact us. Different bag styles for your reference. Please click here to contact us directly with your enquiry.